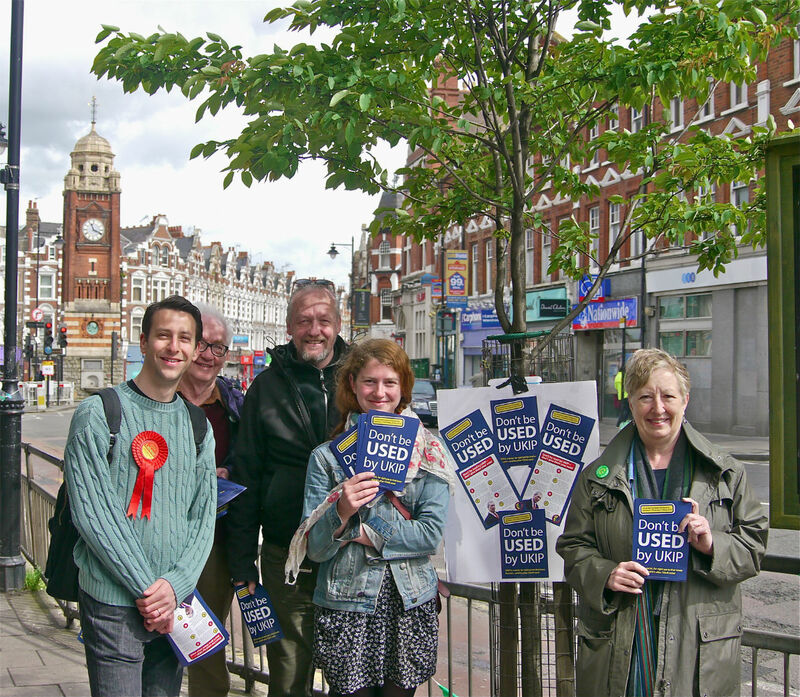 Left wing extremists from Labour, the Lib Dems, the Greens and Trade Unions & Socialists Against Cuts in Haringey joined forces yesterday to hand out leaflets produced by the Trade Union anti-UKIP campaign, Hope not Hate. Haringey's Labour mayor was in the news yesterday after being found guilty of bringing her office into disrepute by misusing her position and council resources in personal matters. The Lib Dems were yesterday calling for the resignation of the Labour mayor whilst campaigning with Labour and Labour were criticising the Lib Dems for bringing in 6 out of town candidates for the local elections. Nothing unites the far left more than a challenge to Labour's dominance.